A recent local authority funded rehabilitation scheme of 10 tenement closes each of six flats was underway. All ground floor flats were designated to receive a new chemical damp proof course. 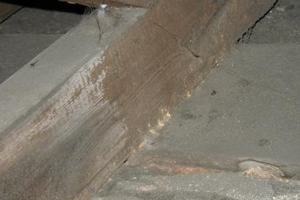 A thorough survey and analysis determined that rising dampness was only a problem in the walls adjacent to the close where the concrete floor slab had bridged the original wall DPC. Specifications were modified accordingly resulting in savings of 70 % on that anticipated for damp proofing works. 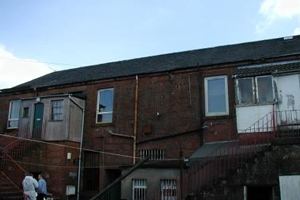 A tenement property was about to be refurbished with grant assistance from the local authority. 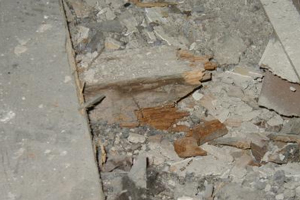 The building was occupied The consultants were aware that some timber decay problems were present from their own visual inspections of the roof and flats. They were unable to cost the likely extent of repairs, since the decay would have spread into occupied areas. 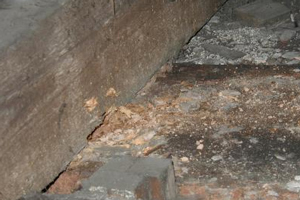 A diagnostic survey was commissioned which involved minimal disruption to the occupants. 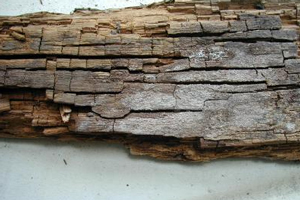 The areas of active decay were mapped out using moisture mapping procedures and selective drilling and timber swarf analysis. From this information typical repair specifications were prepared and the costs of repairs accurately estimated. These were also supported by grant funding which was in place before the work commenced. The survey also provided advice to the occupants about the likely extent of disruption during repairs within each of the flats. This meant that they could prepare in advance of the work and that the repairs could proceed quickly and without interruption . A local picture frame manufacturer had a frame returned to him which had been made about six months before. The frame was almost totally destroyed by insect attack. 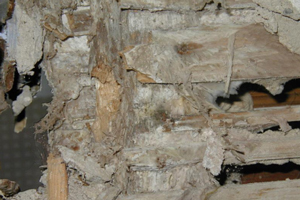 His client was concerned that the insect might invade house timbers and cause substantial damage. He therefore wanted to have the house treated. 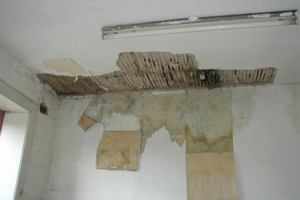 A local housing association had persistent complaints from one tenant about dampness affecting the walls of a bedroom cupboard. There was concern about the source of moisture since there was no obvious defect. A thermohygrograph unit was placed at various locations within the property and the ambient temperature and humidity fluctuations monitored for two weeks. The results clearly indicated the problem was due to high internal humidity. The patterns of these coincided with periods of cooking and bathing. The provision of upgraded extraction units in the kitchen and bathroom was able to sufficiently reduce humidity to eliminate the problem. A housing association had untertaken a tenement rehabilitation scheme. All ground floor flats had been injected with a new chemical DPC and the walls replastered. After about 18 months one tenant complained about dampness on a bedroom wall. The association officer tested the wall with an electronic moisture meter and obtained very high readings. He concluded the damp proof course was not working correctly. The contractor was asked to investigate and carried out a "carbide meter" test at the base of the wall and found the total moisture content to be 4%. He concluded the damp proof course was functioning correctly. We carried out a gravimetric analysis on the wall and found a gradient of moisture towards the base. However the gradient of moisture was largely due to a hygroscopic moisture component. The free moisture gradient was not significant. 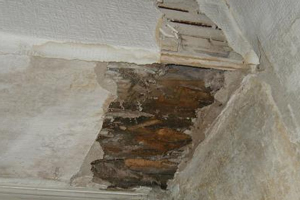 Analysis of the plaster revealed high levels of Chloride and Nitrate salts. 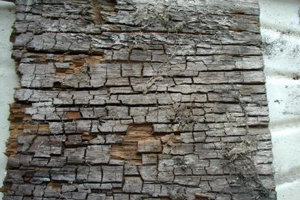 The high levels of hygroscopicity and Chloride and Nitrate are indications that rising dampness is or has been present. The low levels of free moisture indicate that the DPC is working. The levels of Chloride and Nitrate in the plaster indicate that the plaster has failed to prevent salt migration. Analysis of the plaster revealed it to be of the correct type but contained abnormally high levels of sulphate. The plastering contractor has mixed some of the finishing plaster with the base coat resulting in plaster failure. The problem did not reappear after the wall was properly replastered. This house is a flat within a sandstone property built about 100 years ago. 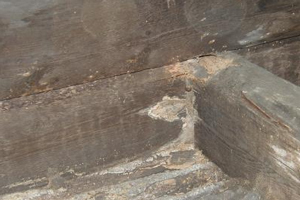 The timber defects are very typical of what you will find in a property of this age condition and type in the west of Scotland. Note that a very careful inspection is necessary to reveal the defects. Training in this specialised area can be provided on request.